Ashley is PolishAddicted: Pond Pumpkins! 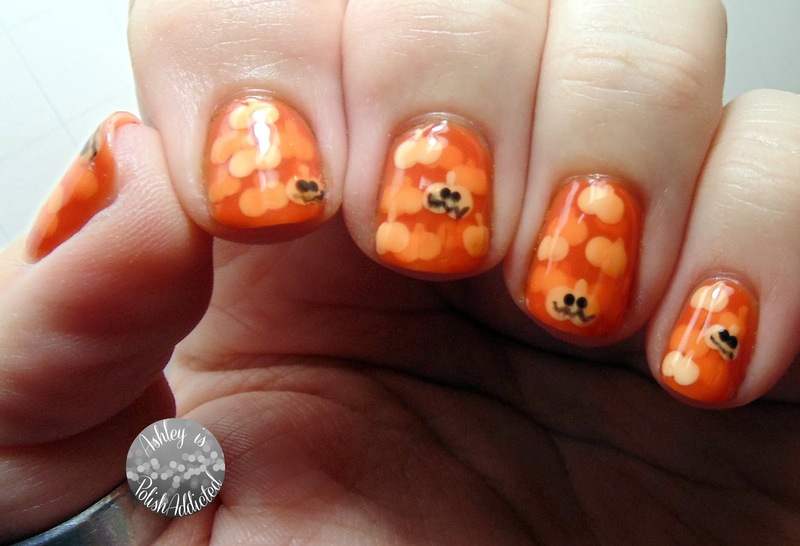 My friend Jacki over at Adventures in Acetone created this tutorial last October and I loved it! (You can find her tutorial here.) 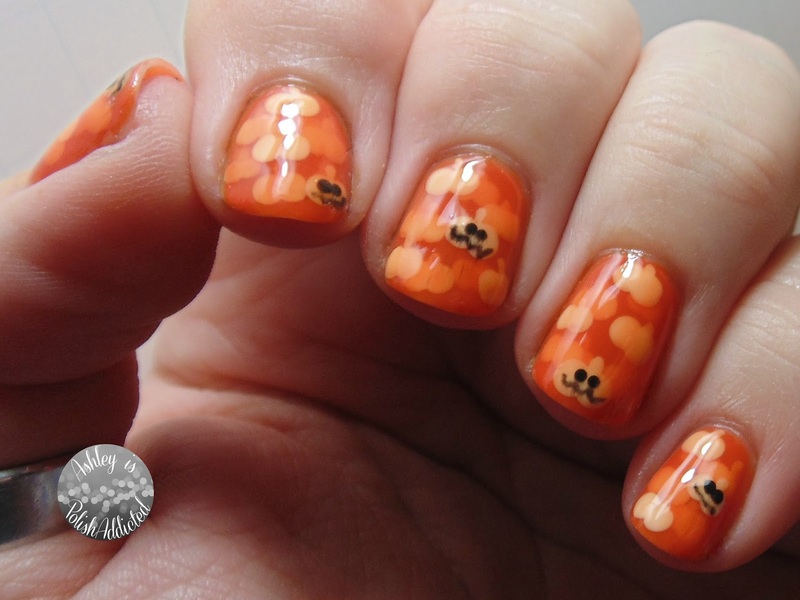 This manicure was very fun and easy to create! Although, I should want you, make sure your stems aren't too long or you will wind up with rather ummm... inappropriate looking pumpkins. Hahaha! Yes, this is from experience! But it was an easy fix and this is a super fun manicure! You could certainly do this without the Jack-O-Lantern faces in November as well, but I think the random Jack-O-Lanterns add a lot of fun! See you back tomorrow for the very last day of the #31DC2014! This is very cute! Your artwork is outstanding! SUCH a great job!!! I am so proud of you! !